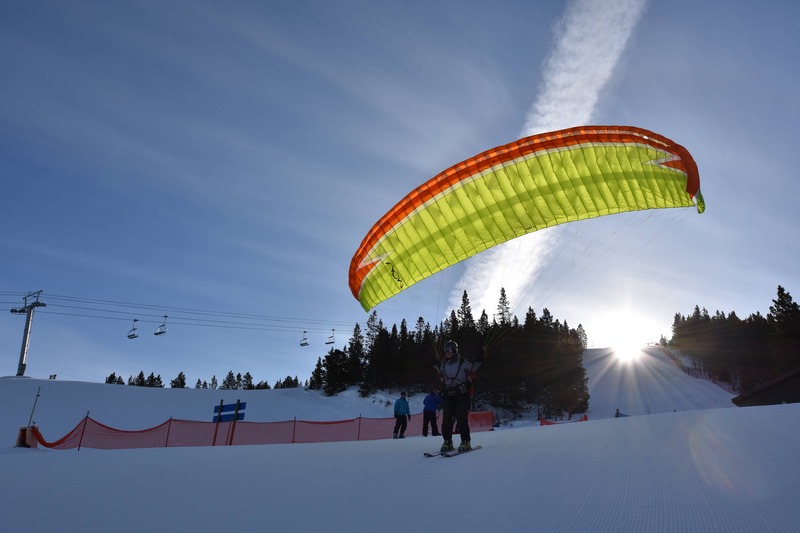 Who says there are no Paragliding lessons during the winter month? Well, I never was thinking about it myself. Last December Pascal was asking me if I would do a P1 & P2 course in the winter…. my reply was that it is to cold and there is to much snow at the practice hill. By the end of January, Kaymin contacted me with the same question … Looking outside, there was not much snow here in the valley at all and before I knew it, I had 2 students starting a 2 week course. Conditions were absolutely perfect and within 4 days each of them did more than 10 flights from our 40 meter high practice hill. The week after we started to do our “high mountain” flights at Panorama Mountain Resort with skis. A week later each of them had over 20 flights. Flying with skis at the resort works very well. The access to the launch site is super convenient by using the chair lifts. Panorama Resort supports our sport a lot and only charges $35 for a day to fly. On some days we ended up flying up to 5 flights a day. 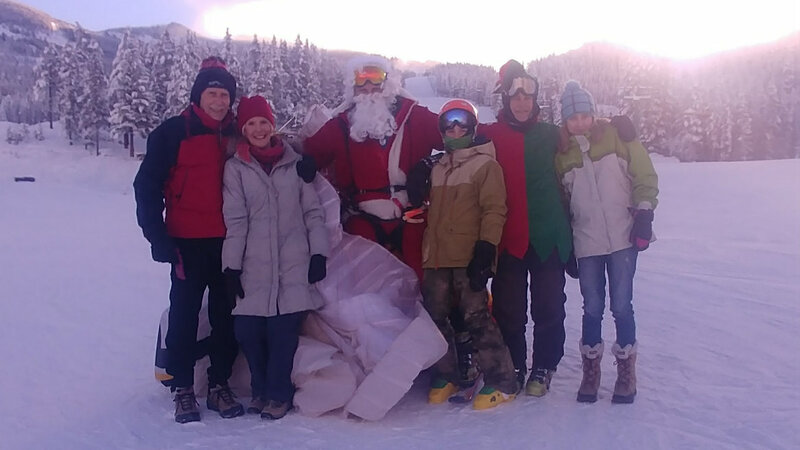 In the mean time we have 4 other P1 pilots working on their 25 supervised flights at the Panorama Ski Resort. 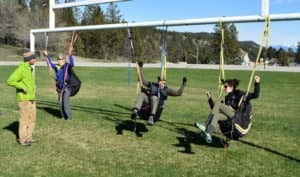 This works very well and besides running courses in the spring/summer I already started to schedule a P1 course for late fall this year so we can do the high mountain flights in the winter at the ski hill. Check out our Calendar as we keep on adding courses and events…. PPG, SIV, XC and P3 workshops coming soon. 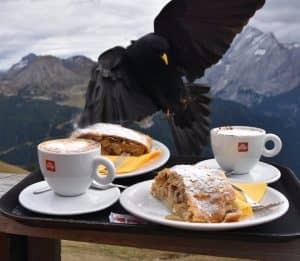 Happy, healthy and prosperous 2019 from flyingMax.com. We are looking forward to a great new year with lots of adventures and flights! Here is a video of Penny and Max flying into the new year! The 2018/2019 Panorama Paragliding season has started. 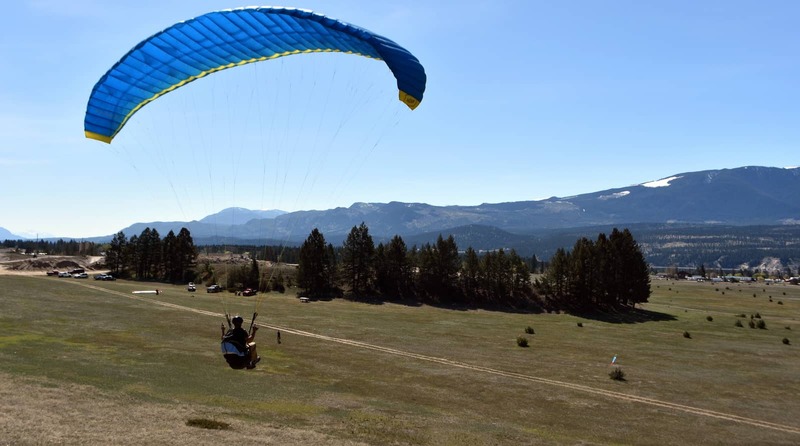 If you plan to fly at Panorama, simply read the Panorama paragliding guidelines , then send me an e-mail with your HPAC number (including valid until date) and your paragliding level of experience to max@flyingMax.com, in order to get the Panorama Paragliding waiver form. This form is required for you to get you special priced Panorama “ski/flying” ticket from guest services. 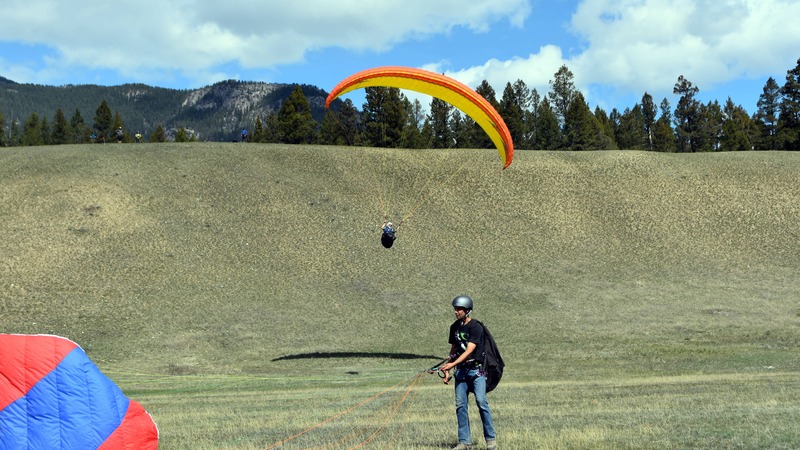 For first time paraglider pilots to Panorama, we will need to set up a meeting prior to your first flight for an orientation of the take off/landing spots and review the rules. Happy Holidays and all the best for 2019! How high is Class G (uncontrolled) airspace in the Columbia Valley? 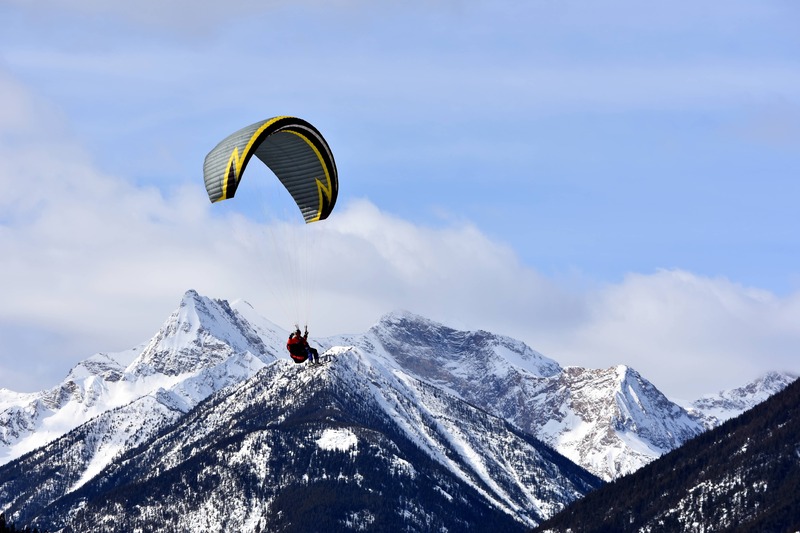 Hang gliding and Paragliding is regulated by Transport Canada under CAR 602.29 which states in short that we can only operate in Class G airspace. First, what is Class E airspace? Class E Airspace is designated where an operational need exists for controlled airspace but does not meet the requirements for Class A, B, C or D Airspace. Operations may be conducted under VFR or IFR. ATC separation is provided only to aircraft operating under IFR. There are no special requirements for VFR aircraft. Low-level airways, control area extensions, transition areas, or CZs established without an operating control tower may be classified as Class E Airspace. 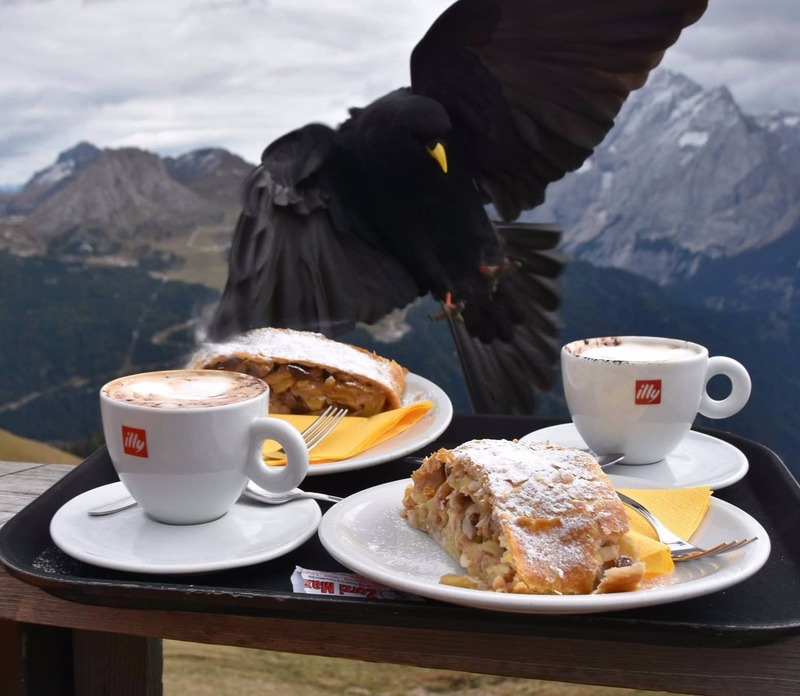 Bottom line of the HAGAR is to make every Hang glider and Paraglider pilot aware of other air traffic (faster and IFR traffic) procedures and airspace regulations which will keep everyone safe while sharing the same airspace. For H3/P3 pilots NOT having a HAGAR and like to go XC, the question is where and how high is Class G airspace? except if you are under an airway/air route, or under one of the shelves of airspace of a control zone around an airport. How can you find out more about that? 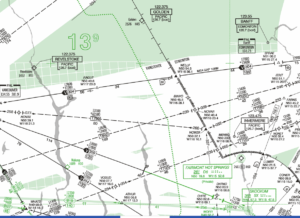 The easiest way to see which airspace you’ll be in, or at what altitude the controlled airspace starts is to have a look at the IFR Low En-Route Charts. VFR Navigation Charts (or VNCs) also give you the information but it is less apparent. 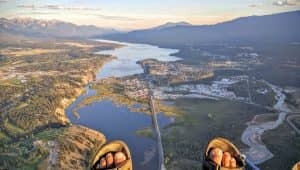 How does this apply to a XC flight from Golden to Canal Flats or further? Golden to about Parson is “Solid Green”, meaning Class G is up to 18000 feet ASL. Everything south from Parson is “White”, meaning Class G is only 2200 feet (670 meters) AGL. If you look at the VFR chart, south of Fairmont Class G is only 700 feet (213 meters) AGL. I hope this will give everyone a more clearer picture and will show the benefit to have a HAGAR. 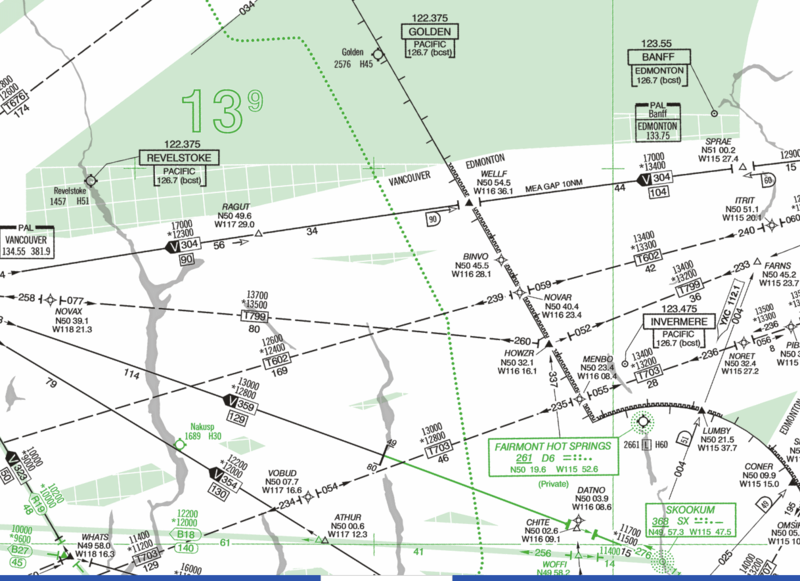 See the Low Level IFR En-Route Chart below. Merry Christmas and a happy, healthy 2018 from our family (Max, Penny, Katia & Erik) to everyone who knows us. 2017 has been a very good year for us and we like to thank everyone who has been a part of it. This does not only mean business, it means everyone who has been a part of our life’s. In the mean time, here are a couple pictures and videos of the last couple days at Panorama. 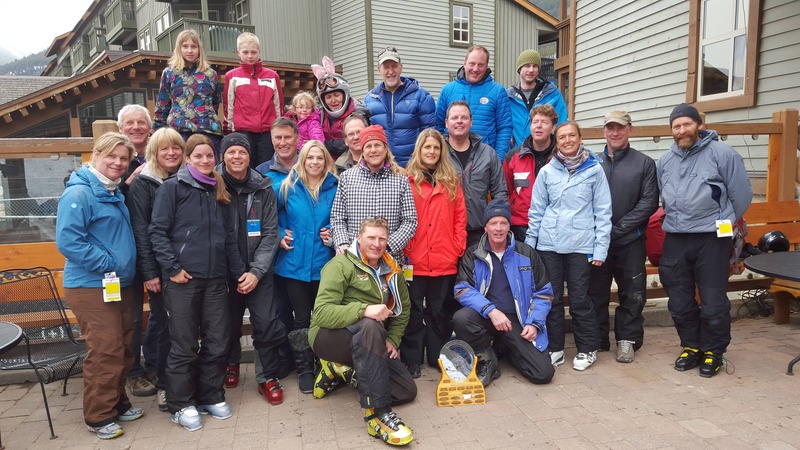 The 2016/2017 ski season at Panorama resort is open and has been since Dec 9th. The flying season will be open once the Sunbird Chair is in operation. Currently Panorama is working on the ski runs to open the terrain to our landing site. 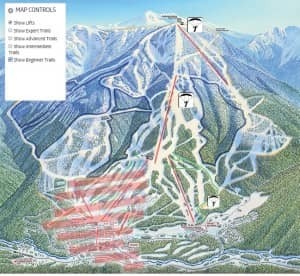 Once this is in place, Panorama will open up the Sunbird chair lift which is needed to get you from the landing site back on top of the mountain. It sounds like this should happen in the next couple of days, but until then, there is no flying at Panorama as of yet. Once again, for this season, Panorama is very supportive of pilots with a special fly/ski ticket this year. Please keep in mind that this special day pass is for pilots who are going to fly only! 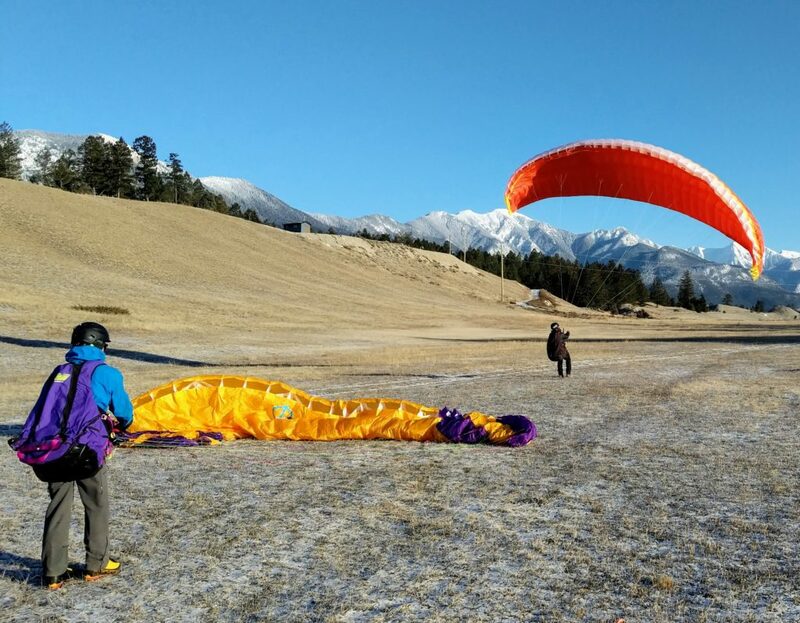 If you are at the take-off site and it is not good to fly, you can leave your wing at the launch site and ski until the conditions improve. Please do not abuse this special deal, or we will be in jeopardy of losing this privilege. The take-off and landing is the same as the years before. No landings at the village. Only land on designated landing site or on Golf course if it gets to windy. 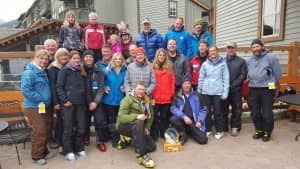 Contact RK Heliski before you head up the Mountain at 250 342-3889. This is just to let them know we are flying as they will inform their pilots of the activities. Access to launch sites only possible with skies or snowboard. It was a very busy summer with paragliding, ultralight flying, working with TrappeurHomes.com and ColumbiaRiverPaddle.com. The summer flew by, and it is hard to believe it is almost winter. So, what’s new with flyingMax? Besides certifying new pilots, running a SIV at Whitetale Lake, doing “Discovery” flights with my Quicksilver ultralight, guiding in the Dolomite’s, visiting a SIV workshop in Annecy and attending the Nova pilots meet, I renewed my paragliding instructor rating and accepted the invite as a Senior paragliding instructor. For my instructor re-certification course I traveled to Claudio Mota in Drayton Valley, AB. It was the best thing I ever did and was able to brush up my towing skills. Re-connected with my old friend Juergen Kraus to get all the support to run a “soft” SIV at Whitetale lake. Working more extensively with the Quicksilver in regards to Ultralight flying and instructions. Re-certification instructor course with Claudio Mota and brushing up my towing skills. Accepting the “Senior” instructor status to to be more involved with the HPAC instructor certifications. to offer another option to “foot” launch for supervised P2 flights. Run one P1 course through the College of the Rockies in early spring. Happy landings to everyone and looking forward to the next season. It was pretty much a seamless switch from flying with ski’s at Panorama to Mt. Swansea in the valley. 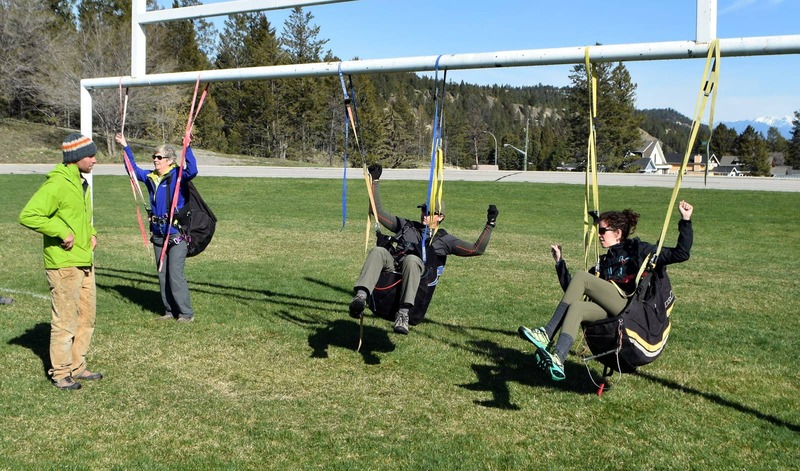 In the mean team the College of the Rocky Mountains were hosting a couple P1 courses and we currently running a P2 program for the new P1 pilots. 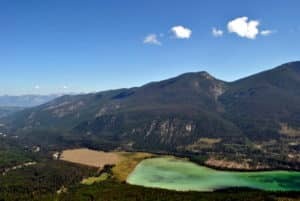 This unique opportunity to learn the dynamics and limits of your wing will be held at the beautiful private flying site of Whitetail Lake in BC. This site offers a generous amount of height to practice maneuvers over the safety of water. During the evenings, there will be lectures on cross country strategies, weather, and air regulations. There will be two instructors, a safety boat and video. There are also a variety of ways to participate. There is a maximum number of people that can take part in the course. All courses include shuttle rides to launch, life vests, two BBQ dinners, two breakfasts, and camping at Whitetale Lake. We only have a couple spots left and they will run out fast. Thanks again to everybody (pilots, family and friends) who came and made this such a special event! We had 3 days of great flying conditions and one of them with lots of nice thermals. 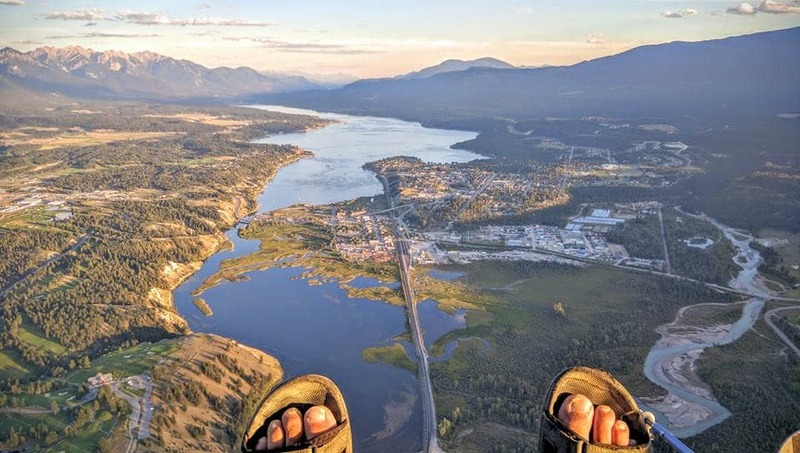 Frank Kernick​, Deryk Yuill​ and Max Fanderl were able to fly out into the Windermere Valley on Saturday. First prize this year was shared with Chris Wilson​ and Max Fanderl​, 2nd was Frank Kernick. A big thank you again to Sheri and Diana for all their help with registration and at the LZ, and also to everyone else who helped make this such a great event. 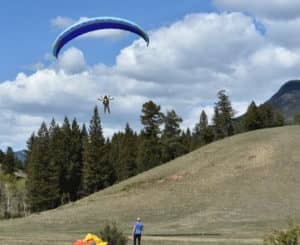 I would also like to thank Panorama Mountain Resort for supporting this event, and paragliding at the resort, for 19 years. The resort and all the staff are amazing! Mark your calendars for next years meet, as it will be the 20th! March 24, 25, 26, 2017. The Weather Network was checking out the weather station and snow reporting at Panorama Mountain Resort and found a exciting way to get down the mountain. Very excited about the video below as I think this is exposing our sport very well nation wide.